The Bell Race Star Flex DLX Helmet offers additional comfort features over the Race Star including speaker pockets, triple-density cheek pads and a 10% reduction in weight. 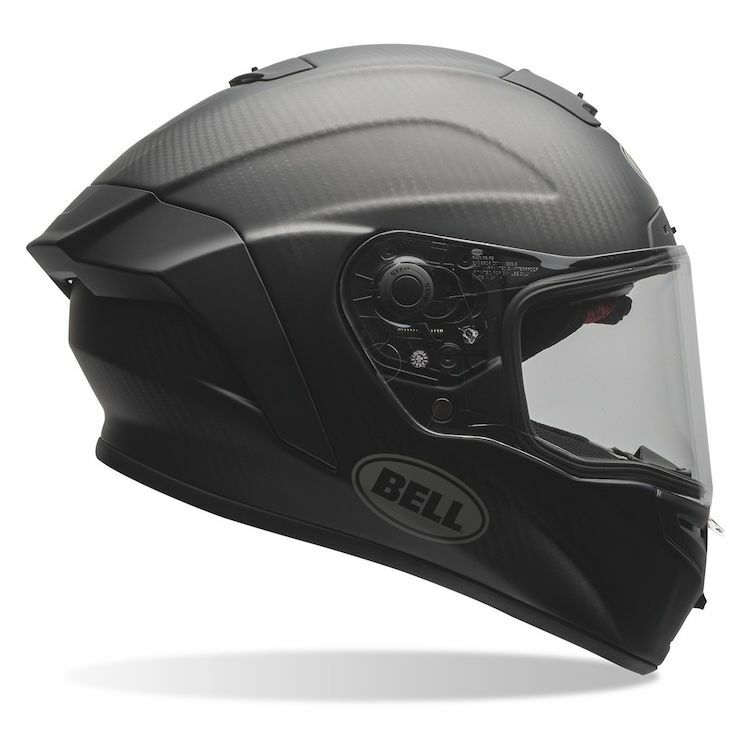 The 3K Carbon Fiber Shell is extremely strong yet lightweight and has been optimized aerodynamically in Bell's wind tunnel to provide a stable helmet at speed. While the Flex Impact Liner was designed specifically to handle varying impact forces through various materials and layers to help keep you safe and protected. A Panovision ProTint Photochromatic face shield is included in the box!